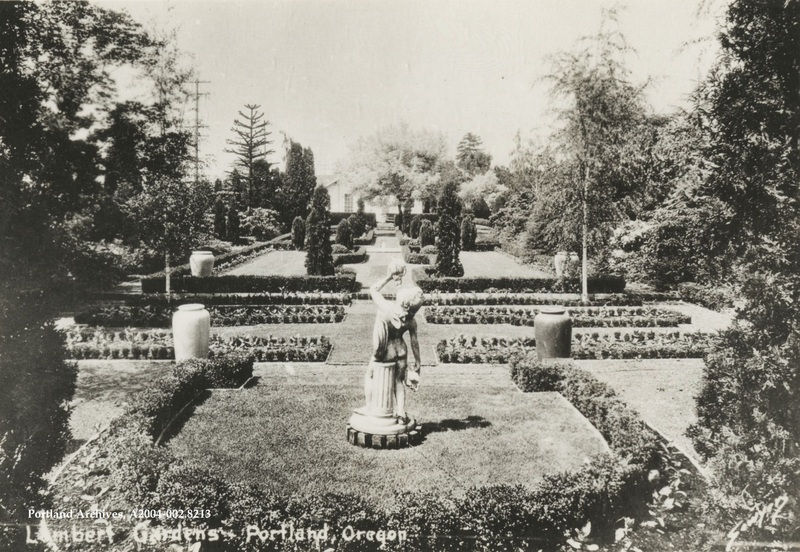 Lambert Gardens, a private botanical garden that was located at SE 28th Avenue and SE Steele Street, circa 1937. 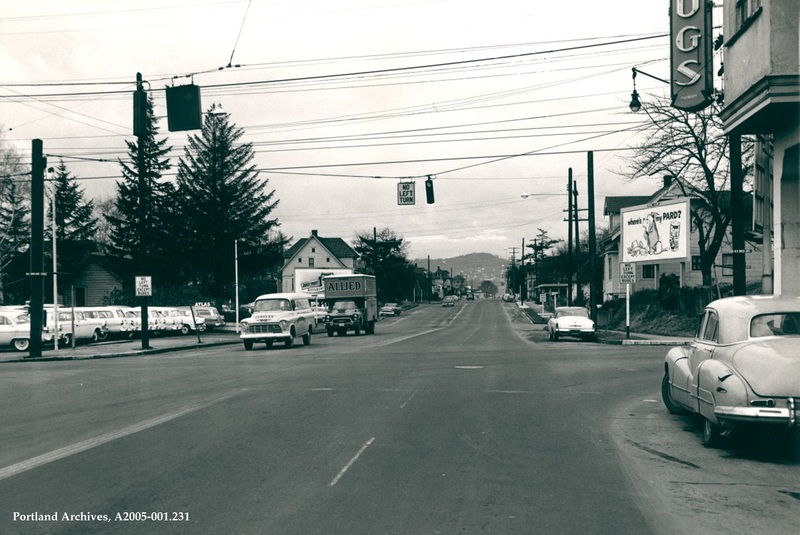 City of Portland (OR) Archives, A2004-002.8213. 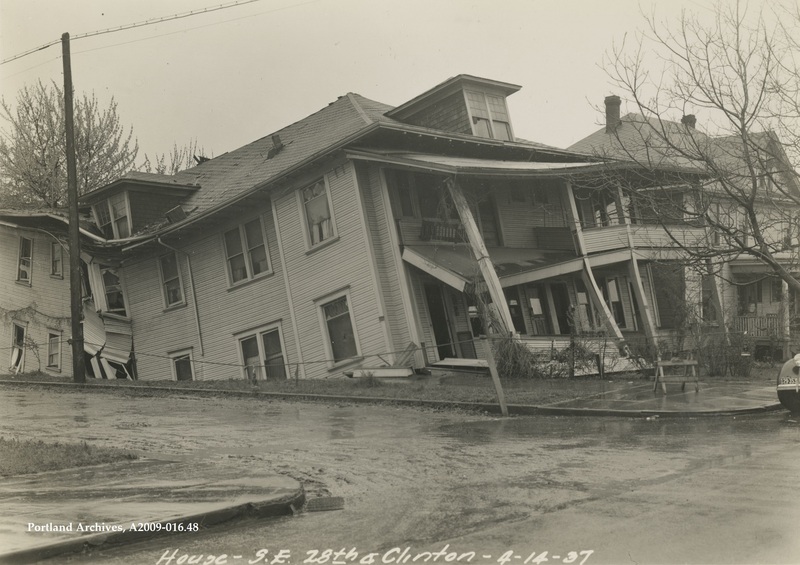 A collapsing house at SE 28th Avenue and SE Clinton Street, 1937. 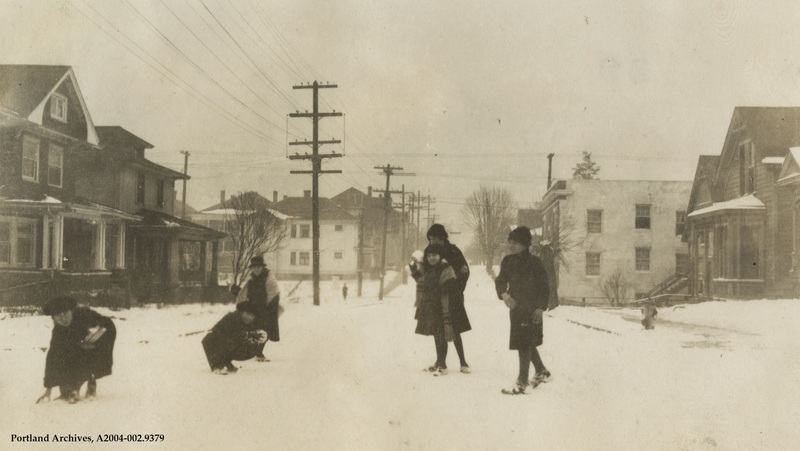 The information we have for this photograph is that it is a snow scene on 28th Avenue, 1922. Can anyone help us find the exact location? 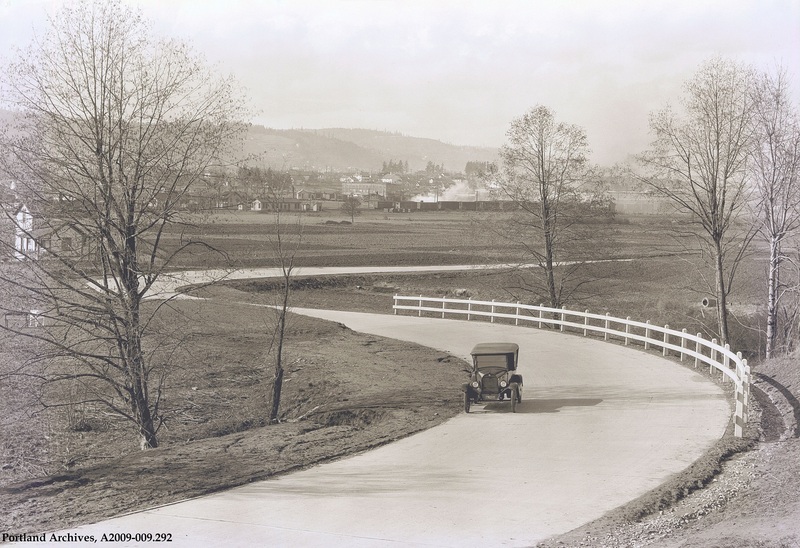 Posted in 1920s, 28th Avenue, Help Us Out! 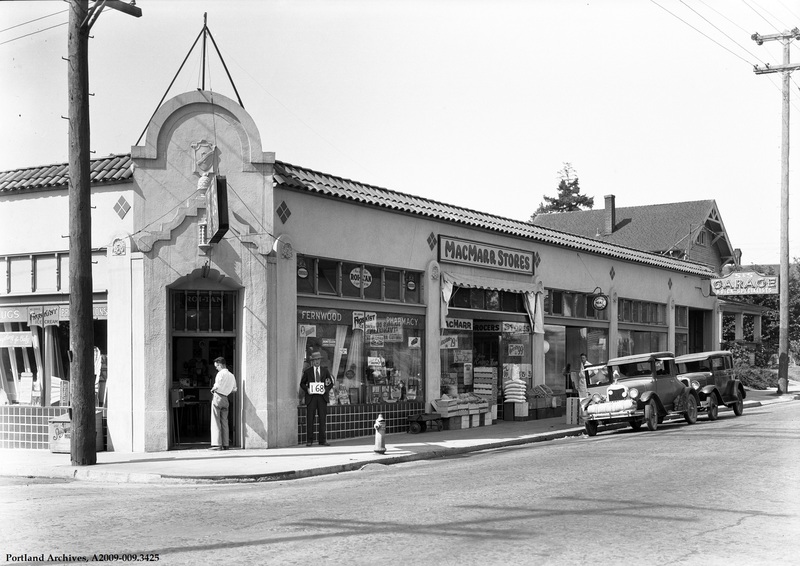 This building, still standing on the corner of NE Broadway and 28th Avenue, housed several business, including Fernwood Pharmacy, one of the MacMarr Stores, Gaston Meats, and S & S Garage.